Which part of the UK beer market has enjoyed growth of almost 40% in the last 12 months? Regular readers** will know that this isn’t cask beer, which shock! horror! is not in growth at the present time. Well let me tell you, it is the mid strength moderation category***, a name coined by the Hiberno-Dutch axis that is Heineken UK. Surprised? Perhaps – but by which element? Stepping back from this, it makes sense that lower alcohol beers are in growth. The Government has incentivised brewers to focus on them. Despite there being traditionally only limited demand for low alcohol beers (and I’m not talking about the low gravity quaffing beers that were consumed by the daily gallon in the halcyon era of heavy industry), brewers have got innovative. Right across the spectrum there are beers popping up from micro sized breweries, to regionals like Marstons and multi-nationals doing lagery stuff. Many are tasty, others less so; many are ‘straight’ beers, others are flavoured. I was more surprised by the name coined – ‘mid strength moderation’. Yes it’s a nonsense, made up, industry term. Yet it’s interesting – most ‘categories’ of beer as mentioned by Nielsen are purely descriptive: ‘Standard Lager’, ‘Premium Lager’, ‘Superstrength lager’ and so on. But here is a description that is suggesting to you its usage: moderation. It begs a question I suppose, about what is ‘moderation’ – is it drinking pints of a low ABV beer or is it the way you consume? I consider myself a moderate drinker, but at home the typical ABV of beers I consume is 5%. No, this is a very deliberate attempt by Heineken to legitimise and give drinkers a reason and a motivation to consume low alcohol beer – it will be interesting to see if it sticks, particularly as they are deploying it for the first time on a new launch: Foster’s Radler – a 2% ABV lager, ‘cut with cloudy lemon’. In itself, this is interesting. Foster’s = Australian swilling beer; Radler = style of German shandy / panaché. I don’t suppose many Foster’s drinkers will be aware of, or particularly care about the heritage of ‘Radler’ beers so I don’t want to read too much into it, suffice it to say, with Molson launching Carling Zest, and now Heineken jumping on the bike**** these are beers that are pretty certain to stick around. The question is whether they will achieve significant scale, or end up achieving only moderately so. *In the current climate this could be seen as a cheap and undoubtedly inappropriate joke, but its roots date much further back than that – it’s just been bubbling along waiting for a stand up script writer to ignore it. ***Sorry, last use of Asterisk the Gaul before I have to move to Roman Numerals. Actually, the figures are A C Nielsen, but used by Heineken in this context. And for accuracy, the figure quoted was 39% growth for beers 3.3% ABV and under in the 52 weeks to w/e 5.1.2013. And breathe. ****Dang, apologies. Radler comes from the German rad or bike. See what I did there? Over a quiet beer or two, I have been wrestling with a dilemma. Actually, no, that’s not right, as a dilemma is something you can’t satisfactorily resolve. Rather, a thorny issue: when is craft craft or not craft? To stretch it further, are big brewers who sell ‘craft’ beer simply responding well to the drinker trends in the market, or are they being just plain crafty? The Motley Fool (www.fool.co.uk) – a network of bloggers offering advice and gossip on companies and share performance – recently penned an article on US craft beer sales. It made for interesting reading: although craft beer is only 6% of the market place, they are growing strongly, up 14% in the last year according the American Brewers’ Association – in an overall market where per capita consumption is declining. Interestingly, the big brewers’ performance within this was marked. Miller Coors’ Blue Moon brand grew by 50% between 2009 and 2011, and Leinenkugel’s grew by 20%. Anheuser Busch is also a player. They have bought Goose Island and also launched their own craft brand, Shock Top, the latter growing 70% year to date*. In comparison, more established players – the genuine craft brewers it is argued – are growing much more slowly. 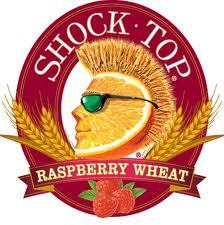 We drank Shock Top Raspberry Wheat in the Salty Dog in Sarasota – with no idea it was an ABI beer. Inspired marketing or a confidence trick? There are two really interesting dynamics going on here. First, that there is a debate going on about ‘craft’ at all. Big companies get big for a whole host of reasons – luck, daring acquisitions, market expansion, exploitation… and brand building skill. If they spot an opportunity to sell brands to drinkers, they’ll do it, and endeavour to do it with scale. As far as I’m concerned, if a drinker is happy that a beer is a craft beer, then whether we agree on principle or not becomes purely academic: it is. Get over it, and start competing. 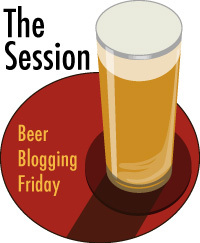 Second is the debate about what constitutes craft? The answers are invariably couched in a hotchpotch of measures: volume brewed; use of adjuncts purely for taste, independence. This is missing the point – a point bigger than beer. What manifests itself in beer as ‘craft’, is a slew of market trends impacting right across food and drink products: national, regional, local, provenance, authenticity, passionate producers, natural ingredients, interesting tastes & textures, original recipes – I could go on. It’s popping up in tea, coffee, wines & spirits, across all foods from fresh meat and veg to ready meals and snack foods. So what’s the connection? These trends are tapping into our desire to emotionally connect in some way to our roots – however we define them as individuals. This could show itself as national pride or local knowledge; it can show itself as truly authentic or re-interpreting the past, but importantly it doesn’t define itself by scale. Look at Rachel’s Organic or Yeo Valley – organic, touchy-feely, yes. Niche – no. Or Tyrell’s Crisps, Red Sky or Kettle Chips. Made from potatoes (not substitutes), interesting natural flavours, lovingly fried in kettles, yes. Niche – no. Or Sam Adams, Blue Moon, London Pride, Doom Bar – interesting, unusual, brewed with care? Of course. Niche – no. It’s good news all round for brewers, but as it’s about more than just the beer – it’s great news for brewers great and small. *Clearly, that’s in the year to the date of their earnings release, not the year to date this year. Mind you, January sales up 70% would be no mean feat. Not why, what, where or when but how we love beer. For the lack of bitterness and its ideal Grace. Most quiet pint o’ Mild, lit by sun or candlelight. I love thee purely, bless the Union and its fine Pale Ale. In matching with curry, chocolate or cheese. I shall but love thy biney hoppiness after death. *With most profuse apologies to Elisabeth Barrett Browning. She deserved better.